Here’s a quick cocktail recipe for your autumn libations! We were going to use Kentucky bourbon but then I remembered Husband and whiskey don’t get along and I really didn't feel like fetching him from the neighbor’s chicken coop again. So we went with vanilla vodka! Mix together and serve over ice – OR – shake with ice and serve martini style. 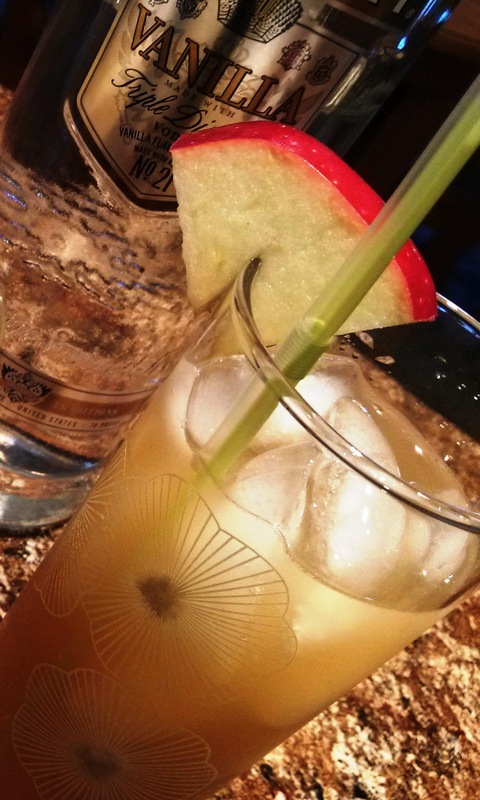 Garnish with apple slices. I am going to have to try this drink. Sounds very good! Well I finally got around to making the cocktail and it is FABULOUS!!!!!! !